We Buy Houses in Camarillo, California. Get your CASH offer today! We are a local, family owned business located right here in Ventura County. We buy homes in Camarillo and the surrounding areas. When you sell your house directly to us, there will be no fees, no realtor commissions, and no hassles. Depending on the real estate market conditions, it can take months to get your house listed and sold with a realtor. When we buy your house, we can close in as little as 10 days, or on your timeline. Our goal is to make the process as simple and quick as possible so that you can sell your property and put cash in your pocket. We buy houses in Camarillo as-is, in any shape, in any location, in any price range. We want to buy your house for cash so that you can move on with your life. Or, if it makes more sense for your unique situation, we can buy your house on terms and pay you monthly payments. To find out more about our house buying process, you can fill out the form at the top of the page or send us an email to Info@DreamHomePS.com. Or if you prefer to speak with us directly, you can give us a call at 805-250-8335. There are many reasons why Ventura County residents choose to sell their home to a cash buyer. As mentioned above, selling directly to us means that you will not have to pay any fees or commissions. Since we can buy your house with cash, we are not dependent on bank financing, so we will not have to back out at the last minute because our financing did not go through. We will make you a fair, all-cash offer on your house, but we also like to present you with multiple offers, and we will discuss the advantages of each one so that you can pick the one that is going to be best for you and your family. Some of the situations that we can assist homeowners with include stopping foreclosure, costly repairs that you cannot afford, divorce, bankruptcy, rental properties with destructive tenants, short sale assistance, vacant homes, inherited properties, probates, and many more. Many people do not realize the true costs of selling your homes. If you list your house with a realtor, you are usually looking at anywhere from 5% – 6% that you will be paying just in commissions. As of the writing of this page, the average sales price in Camarillo is $664,000. That means that you will be paying anywhere from $33,000 to $40,000 in commissions alone. And that does not even take into account other closing costs. When you sell your house directly to us, that is money that you will be keeping in your pocket. And instead of having your house sit on the market and waiting for the right buyer to come along, we can close in as little as 10 days. Or, if you are in no rush and want more time to find a new house, or whatever the situation may be, we can close whenever is convenient for you. 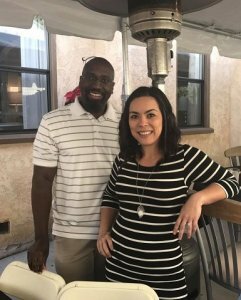 We are a local company, so you will be working directly with co-owners Ainslee and Cornelius Charles. We are not one of the national companies that farm people’s information and then sell that off to the highest bidder. We are proud members of the Better Business Bureau and the Camarillo Chamber of Commerce. As stated above, our goal is to help Ventura County residents with any and all of their real estate needs, so please feel free to contact us even if you just have questions about the home buying or selling process in general. We can be reached either by filling out the form above, sending an email to Info@DreamHomePS.com, or by calling us at 805-250-8335.